Nicko Falcis remains at large kahit may dalawang warrants of arrest. 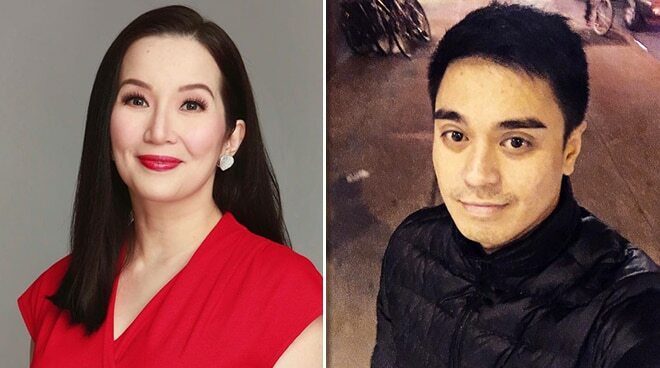 Nagbigay ng update si Kris Aquino tungkol sa kasong isinampa niya laban sa dating business partner/manager na si Nicko Falcis. Pero according to her, huling beses na niyang magbibigay ng update tungkol dito. Iginiit din ni Kris na hindi niya intensyong gawing “trial by publicity” ang pagpo-post niya ng update sa kaso. “As I said, hindi ito trial by publicity, social media, or followers. This is respect for the Philippine judicial system & respect for the honorable men & women of the DOJ, the RTCs, Courts of Appeal, all the way to the Supreme Court. “Nanahimik po ako sa nangyari sa Makati at Pasig, hindi namersonal, ginalang ang desisyon at sinunod ang tamang proseso. I shall end there because alam kong matalino kayo. Nag-isyu din ng press statement ang legal team ni Kris (Fortun, Narvasa, Salazar) kaugnay ng dalawang warrants of arrest na inisyu naman ng korte kay Nicko. “As of today, March 20, 2019, we have confirmed that two (2) warrants of arrest have been issued against Nicardo Falcis y Madarang, alias ‘Nicko,’ one by Branch 70 of the Taguig Regional Trial Court (RTC) for violation of Republic Act No. 8484, and another by Branch 117 of the Taguig Metropolitan Trial Court (MeTC) for estafa.